When it first debuted in 2013, the Lincoln MKZ struggled to attract attention. Yet now, the redesigned MKZ packs a powerful presence. Here’s what you need to know about the 2017 Lincoln MKZ. The base model of the 2017 MKZ is powered by a 2.0 Liter, turbo-charged 4-cylinder engine. It’s the same engine that can be found in the Ford Fusion except this one is cast in aluminum. It gets 245 horsepower and can be outfitted with either front wheel or all-wheel drive (AWD). 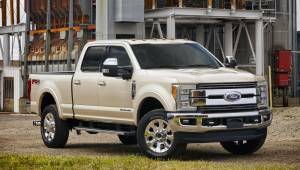 Add to that 275 pound-feet of torque and you’ve got a powertrain that can handle nearly anything you can throw at it. The crowning glory of the 2017 MKZ is the 3.0 Liter, twin turbo V6 engine option. When paired with AWD, you get 400 horsepower and a whopping 400 lb-ft of torque. This car really shoves, but it never feels out of control. It has a smooth six speed automatic transmission and enhanced stopping power. With available Continuously Controlled Damping (CCD) the 2017 MKZ employs onboard sensors to calibrate the suspension. You can toggle between three different driving modes to select the ride style you want. Although, the 4-cylinder engine is quite capable, you’re really going to want to experience the AWD graphite iron V6 version of this vehicle. The MKZ doesn’t lag behind when it comes to safety features. The Select and Reserve model trims have blind spot monitoring sensors and a rear cross traffic alert system that gives you peace of mind on busy roads. 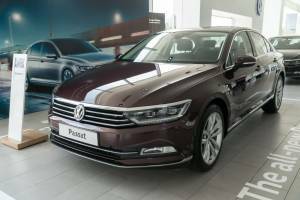 The Technology package has adaptive cruise control that follows the pattern of traffic to keep the vehicle in pace with other vehicles. It also comes with lane-keeping alerts and a forward collision mitigation system. The 2017 Lincoln MKZ has an available active parking assist feature on the Technology package that can help you squeeze into spots you’re less certain about. Then, the system uses its sensors to steer you in and out of that space. The Lincoln MKZ has a dreamy interior that is loaded with entertainment amenities. Let’s start with sound. The MKZ has an available 20-speaker Revel audio system that turns your MKZ into a concert hall. You can access it with a hands-free interface called Sync 3. Your hands stay on the wheel as you change radio stations with Sirius XM, scroll through your favorite playlists and check the weather report. The MKZ also keeps you connected with your mobile device. With the Lincoln Way application, you can bridge the gap between your hectic life and your favorite vehicle. The app lets you remotely start the MKZ, unlock the doors and access special Concierge services. Imagine booking your valet parking ticket at the restaurant before you even leave the driveway. With so much pedal action going on, you might not expect great gas mileage from the 2017 MKZ. However, it gets an estimated 21 miles per gallon in the city and 31 miles per gallon on the highway. The all-wheel drive and V6 engine configuration gives you slightly less, with a combined mpg of 20 miles per gallon. You can also choose to get the hybrid version at the same starting cost as the gas engine models. Lincoln is the only car company offering a deal like that. The hybrid engine is only available with front wheel drive and uses a single drive transmission, or CVT. It can save you a ton of money at the filling station by achieving an estimated 41 miles per gallon. There isn’t any lack of competition in the luxury 4-door sedan category. It’s stacked with major brands like Mercedes-Benz and BMW. And there are upstarts like the Kia Stinger and Acura TLX looking to make a name for themselves. The 2017 MKZ isn’t leading that pack but that’s largely due to poor momentum. The MKZ has a tremendous design and a powerful engine going for it, but lacks a manual gearbox and a host of technological marvels. It’s priced to compete with the Lexus IS and Mercedes-Benz C Class on the low end of the MSRP spectrum. At its best, the 2017 MKZ hopes to rival the Volvo S60 and the Jaguar XE. The obvious upside to the 2017 MKZ is the all-wheel drive, 400 horsepower V6 engine package. It’s a torque monster that excites the senses with every press of the pedal. If you choose the Driver Package, you also get some sporty accents to the exterior and interior to match the car’s enhanced performance. It’s also got plenty of stopping power and control. 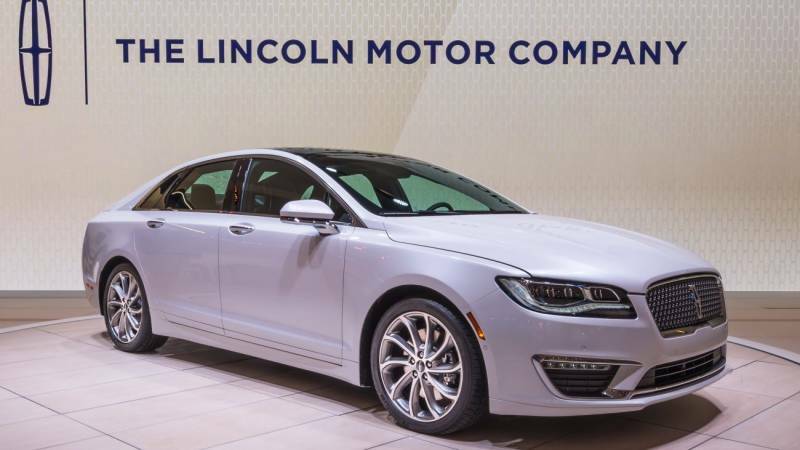 The 2017 Lincoln MKZ is also competitively priced when compared to the Jaguar XE and Volvo S60. Additionally, you can also choose hybrid versions of all three MKZ model trims. Although there aren’t many downsides, it’s only fair to list the ones we found. The exterior of the car and the V6 engine are new, but underneath it all the MKZ bears a striking resemblance to the Ford Fusion. Yet, this isn’t a Ford knockoff. That’s because the interior is based on Lincoln styling and there are luxurious surfaces everywhere you look. The Active Noise Control (ANC) system sounds high-tech, but comes up a bit short on execution. It uses acoustic waves from the speakers to cancel out rough noises inside the cabin. However, all that roar from underneath the carriage never can truly be extinguished; It’s best to just enjoy it. Overall, this vehicle is the real deal. It’s has style, swagger and character. It’s also has the muscle to back it up. The 2017 Lincoln MKZ might get another facelift in the near future, but this generation certainly still has lots to offer in terms of luxury, value and a thrilling ride. The hybrid engine will give you great gas mileage without compromising on any of the other great amenities of the model. If you want something truly unique, then the 2017 MKZ is your best bet.